There are few areas of law that are as personal and emotionally charged as family law. Whether you are going through a divorce, you need help with modifying a current family law order, you are seeking to establish paternity, or you are pursuing an adoption, legal representation can make a huge difference to the ultimate outcome. Attorney Sandy T. Fox is a Florida Bar Board Certified specialist in Marital & Family Law who has been assisting parents and ex-spouses throughout South Florida since 2004. He is committed to helping you resolve your family law issues with integrity and in a timely manner. The Law Offices of Sandy T. Fox combines the proficiency and resources of a large firm with the personalized attention and focus of a small firm. Florida is a purely no-fault divorce state, which means that you do not need to assert fault on the part of your spouse in order to get a divorce. Instead, most Florida divorces are based on the fact that the spouses have “irreconcilable differences” that have led to the breakdown of the marriage beyond the point of repair. There are two types of divorce in Florida: a simple divorce and a regular divorce. For either type of divorce, you must show that the parties are married, one spouse has lived in Florida for six months before filing for divorce, and the marriage is irreparably broken. Our divorce attorneys can guide Miami residents through an uncontested or a contested divorce. We are familiar with the procedural rules that govern trials and appeals, and we are aggressive advocates who can make sure that your voice is heard. In Florida, child custody and visitation matters are known as “timesharing” and “parental responsibility.” Timesharing designates the schedule for when the child spends time with each parent. Parental responsibility, by contrast, denotes who has the right to make decisions about major issues in a child’s life, such as the child’s education, religion, and non-emergency medical care. Under Florida law, all decisions about timesharing and parental responsibility are made according to what the court believes is in the best interest of the child. This is a broad standard that allows a judge to consider any relevant factor, such as the child’s age, preference, current living situation, medical needs, and more. Child support is money paid by the non-custodial parent to the custodial parent in order to cover the expenses of the child or children. In Florida, child support is based on a mathematical formula outlined in Florida Statute 61.30. Child support guidelines consider the needs of the child, the income of both parents, and contributions for day care expenses and health insurance. The amount of overnight visitation also affects the level of child support. Our Miami divorce attorneys are familiar with how child support is calculated and can advocate for you if you need the court to deviate from the child support guidelines. Alimony, also known as spousal support, is money paid from one spouse to the other spouse to maintain their marital lifestyle for a specific time frame. Under Florida law, you may be eligible for a number of different types of alimony, depending on the circumstances of your case. The most important factor in an alimony determination is the length of the marriage. The longer that you have been married, the more likely it is that you will be awarded alimony. However, there are a number of other factors that will go into the determination as well, including but not limited to each spouse’s age, each spouse’s earning potential, the health of each spouse, and the contribution of each spouse to the marriage. Property division is often a contentious issue in a divorce. Florida is an equitable distribution state, in which marital property is divided “fairly” between the parties. As a result, the first step in any property division proceeding is to classify property as either marital property or separate property. Marital property includes assets and debts acquired over the course of the marriage, with a few exceptions, and it is divided at the time of divorce. Separate property, on the other hand, refers to property owned solely by one spouse, and it is not subject to division at the time of divorce. Paternity is a legal action that determines the biological father of a child. Paternity determinations affect the father’s legal responsibilities to the child, such as child support, timesharing, and visitation. In Florida, paternity can be established in a number of ways, including by marriage, DNA test, acknowledgement, court order, or legitimization. A divorce lawyer in the Miami area can help you understand each of these processes and advise you about which of them would be appropriate in your case. In Florida, a stepparent adoption permits a married stepparent to adopt his or her spouse’s child. When a stepparent adoption is complete, the adoptive parent has the same rights and responsibilities to the child as a biological parent. This process can be complicated if a child’s other parent continues to have parental rights. In these cases, the other parent would need to consent to the adoption, or the potential stepparent would need to seek a termination of their parental rights on the grounds of abandonment or incompetency. In Florida, a marriage may be terminated by an annulment. Annulments and divorces are similar in that they make determinations about a marriage’s status. While a divorce ends a valid marriage, an annulment declares that the marriage never really existed. Florida appellate courts have identified a number of grounds on which a marriage can be annulled. Some of these grounds include when one spouse was already married, when one spouse lacked the ability to consent to the marriage, when fraud was involved in the marriage, or when one or both spouses entered into the marriage under duress. While it may not sound romantic, our Miami divorce lawyers know that prenuptial and postnuptial agreements can save couples a lot of complications in the event of a divorce. A prenuptial agreement is a document signed before marriage that outlines the terms of a dissolution of the marriage. For the prenuptial agreement to be effective, the couple is required to get married. A postnuptial agreement is a document that is signed after the marriage, and it also outlines the terms of a potential dissolution. However, Florida courts are not bound by prenuptial and postnuptial agreements when it comes to timesharing or child support arrangements. Under Florida law, the following types of final judgments in family law matters can be modified: child support, spousal support, and parenting plans. The party seeking the modification must show that there has been a “substantial change in circumstances,” which simply means that something has changed that renders the existing order impractical or unworkable. For example, a parent losing his or her job would be considered a substantial change in circumstances that probably would justify adjusting child support payments. 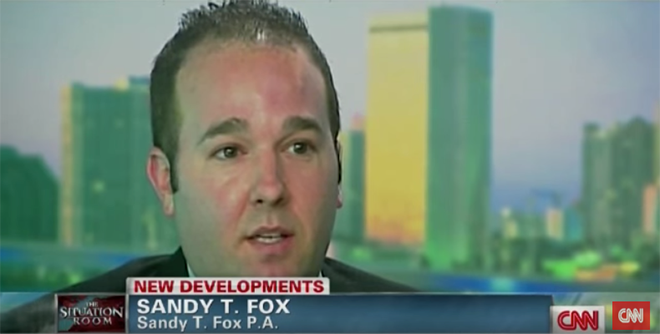 If you are facing a family law issue and need guidance from an experienced legal professional, you can find it at the Law Offices of Sandy T. Fox. We can provide skilled representation in many different settings, ranging from mediation to settlement negotiations to the courtroom. We proudly assist people throughout South Florida, including in Miami, Aventura, Hollywood, and other cities in Miami-Dade and Broward Counties. To discuss your case with us in more detail, call us at 800.596.0579 or contact us online.